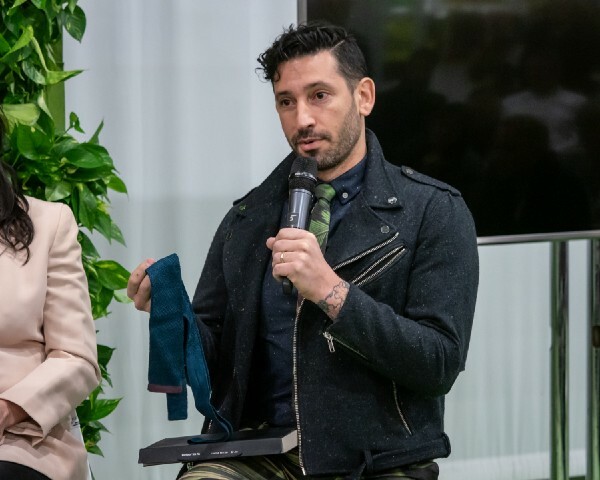 Last week our chairman and CEO Giulio Bonazzi was in New York City for a panel at Texworld USA to discuss technological innovation in textiles and its impact on the environment . 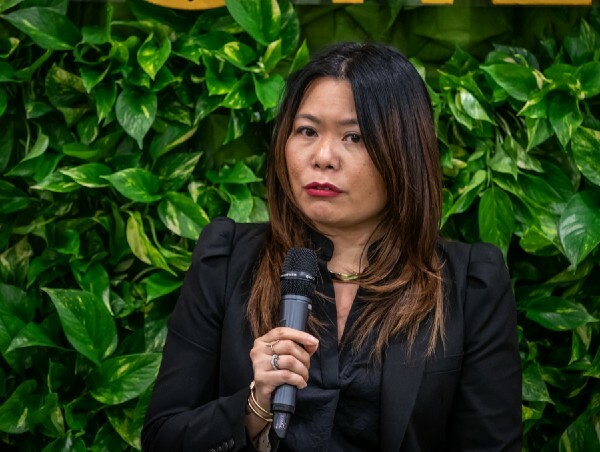 Here are key highlights from a very busy week in sustainable fashion and takeaways from Bonazzi’s Texworld experience. What a momentous couple of weeks we have had in sustainable fashion! The Council of Fashion Designers of America (CFDA) launched a new sustainability initiative to move American brands toward a more sustainable, eco-conscious supply chain. The first part of this initiative is the release of the CFDA Guide to Sustainable Strategies, which provides clear roadmaps and resources for CFDA members to develop and fulfill their sustainability goals. We are very proud that our ECONYL® regenerated fiber is included as a sustainable resource. At Davos, in Switzerland, at the Annual World Economic Forum, the usual hub of politicians and big businesses leaders were joined by fashion industry leaders who wanted to put sustainable fashion on the list of priorities on a global stage. This dialogue was led by the Global Fashion Agenda with leading fashion industry players including Nike, H&M and Target. We are pleased to see this important dialogue happening at the highest levels of business and hope it continues. At Davos, another interesting report was released, the Circularity Gap Report 2019 that calculates the gap between circular and linear economy annually. The number everyone was talking about from the report was 9%. That is the small amount of the global economy that is considered circular. This gap seems to persist mostly in regards to material use. It is calculated that 62% of global greenhouse gas emissions are released during extraction, processing, and manufacturing of goods and only 38% in delivery and use of services and products. So, it makes sense that we focus primarily on materials and supply chains when talking about sustainable fashion. The Texworld USA panel also focused on the circular economy and supply chains in fashion. The panel topic was ‘Modern Textiles: how to minimize your present environmental impact using fabric and resources and designing with innovative technology’. The moderator was Lauren Fay, executive director of The New Fashion Initiative and the panelists were: Elizabeth Cline, journalist, public speaker and author of Overdressed, Joshua Katcher, founder of Brave Gentleman, Pearl Malikul, Consultant at R&D Material Development for Dropel Fabrics and Giulio Bonazzi, Chairman and CEO or Aquafil SpA. 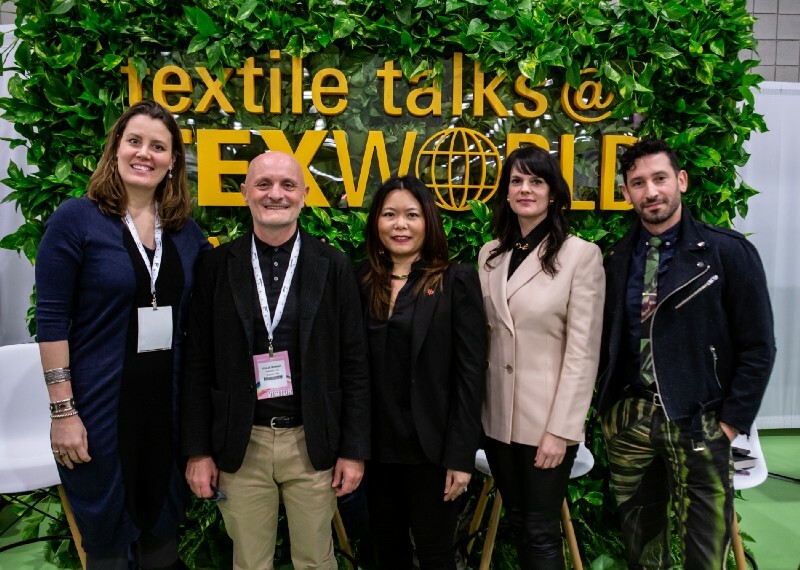 The Texworld USA panel — from left to righ: Lauren Fay, Giulio Bonazzi, Pearl Malikul, Elizabeth Cline and Joshua Katcher. The panel was very inspiring. We chose these six takeaways from the conference that are part of most meaningful conversations around sustainable fashion today. There is no such thing as one solution to sustainable fashion. As Elizabeth Cline puts it, fashion is so personal that everyone must search his own right way within its supply chain or within what’s important for him or her if we are talking about consumers habits. There should be a range of strategies that appeal to every consumer and brand. And this view is also shared by CFDA in their first guide where the first chapter is a reflection on what sustainability means and how it can be something different for each of us according to our path. This is why CFDA is suggesting designers to find their own solutions through creativity and inspiration. 2. Analyze your supply chain and then…analyze your supply chain again! This is key according to all the panelists, and it was a topic brought out by Pearl Maliku whose work at Dropel really is based on close collaboration with local suppliers and partners that can help improve the supply chain and reduce impacts every day. This topic was also very present at Davos where one of the priorities brought up was a greater supply chain traceability. 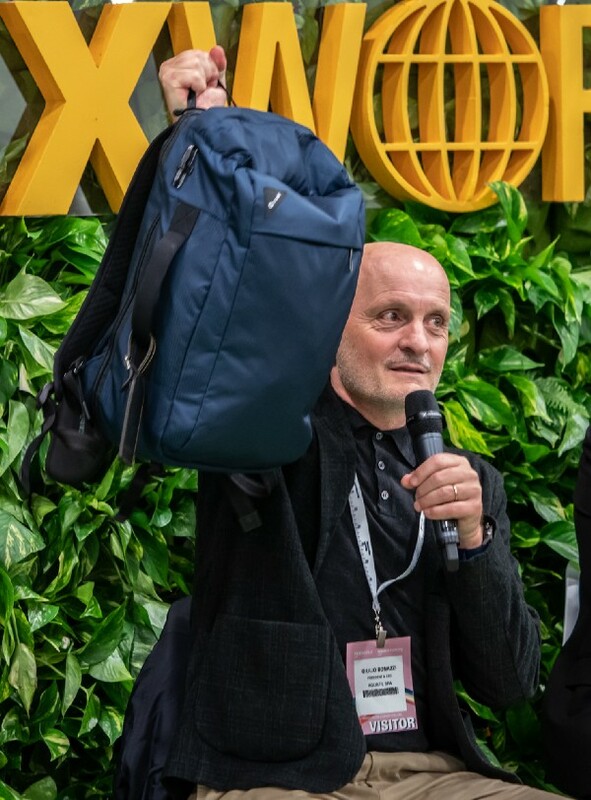 Giulio Bonazzi at Texworld USA panel showing a backpack made with ECONYL® yarn by Pacsafe®. 3. Design can have a positive impact if it’s done “with the end in mind”. This is a point that Giulio Bonazzi, Chairman and president of Aquafil, likes to mention as much as possible because it’s key to produce, today, products that in a few years we will be able to recycle more easily. It is a step forward that is very important for him because the ECONYL®regenerated fiber produced by Aquafil is nylon that comes from waste, so its production will more and more be connected also to the way the nylon products are designed and to their recyclability. That’s why he puts so much emphasis on the role of designers for the next step in sustainable fashion but also in design. They are the one that — controlling the first phase of development of a product, can determine up to 80% of a product environmental impact. 4. Let’s not underestimate the use and “end of life” phase. 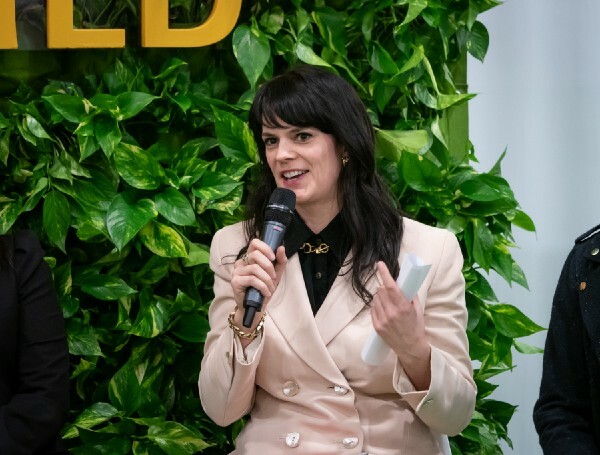 This is the focus of the latest research that Elizabeth Cline did for her upcoming book “The Conscious Closet: The Revolutionary Guide to Looking Good While Doing Good”. During the panel, she underlines how during her research she found out two unexpected facts: that the majority of clothes that we throw away are still wearable and that the cycle of donating clothes is not working anymore as the majority of clothing sent to developing country ends up in landfills. So, she suggests how we should also focus on reuse, repair and redistribute these clothing which are still in good conditions. This is a huge blind spot in the conversations around sustainable fashion and circularity. 5. Legislation — Giulio Bonazzi underlined how legislators are key to support the changes that we need, and Joshua Katcher noted that this is not happening yet because often fashion is considered as something that has to do with surface and vanity and there is a lack of seriousness about it. This might be changing given the presence in Davos of a group of fashion brands that were bringing the topic of sustainable fashion to the global table. Joshua Katcher at Texworld USA panel, showing a tie made with bio-fabricated leather by Bolt Threads. 6. Materials are key. The report “A New Textile Economy (2017)” calculates that 53 million tons of fiber are produced for clothing each year and only 3% comes from recycled material and 1% from recycled clothing materials. This is how far we are in applying the principles of circular economy to materials use in this industry. Giulio Bonazzi showed many products that can be made using ECONYL® regenerated nyloncoming from fishing nets recovered from the oceans and old carpets. Using this fiber, for example, reduces the global warming impact of nylon by up to 80% compared with the material from oil. More focused on animal fibers, Joshua Katcher believes that the solutions here lay in biotechnology and bio-fabrication and showed the audience one of the first ties created by Bolt Threads with biosynthetic silk. Joshua’s book — “Fashion Animals” will soon be available and focuses on the history and impacts around the fascination we have with animals and the use of animals’ products. We are extremely proud to be part of this movement and to see these important topics being addressed at the global level as a business imperative. Let’s keep the dialogue going to inspire increased action. Follow us on Twitter, Facebook, LinkedIn, Instagram and Pinterest.